Full medical checkup in NYC: should it be ignored? Manhattan Physical Exams believe that patient education is key to your overall health and successful living. Dr. Gafanovich is well aware that there must be a certain level of trust between the doctor and patient. This trust is crucial to healthy living. If you don’t trust your doctor what would ever make you want to come. But do you need a medical examination? Being a New Yorker, ask yourself when was the last time you had a medical check up? Full body medical exams are the number one reason that people go to the doctor. The Center for Disease Control and Prevention found that most Americans are doing great. There are 74 million check ups a year according to a 2009 statistic. That equates to one in four Americans getting a check-up. Are you one of them? Yearly medical check ups are a chance for you to check your current health status and to compare it with your past health exams. Having a medical check up will also help you to develop a stronger patient/doctor relationship. An exam will keep you healthy. We also provide flu shots and the latest information on vaccinations to all of our patients. We want to encourage you to come in and explore the various ways you can keep yourself healthy and protected during cold and flu season and beyond. Should I shape up before an medical evaluation? You do not have to change your entire lifestyle or create a new fitness regime because you have a medical check up. We want you to come as you are so that we can evaluate your body as it is right now. The doctor will need to know your current health condition. 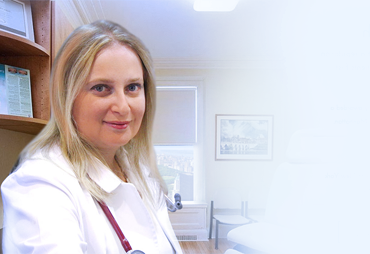 The complete medical check up in NYC will ensure that you are fit. We encourage everyone to have an annual checkup. Sadly, people ignore or put off health concerns because they feel that they do not have enough money to take care of themselves. However, remember insurance companies usually cover medical checkups (please call your carrier for more info). The key is to keep up with your check ups annually. Unfortunately, people are not the best doctors. Some people avoid the checkup because they fear being ridiculed. Coming to the doctor’s office here in Manhattan to have your health screened by a top rated board certified physician will surely help to avoid any potential issues that you are likely to face in future. If you have a family history of any disease or are concerned you might be at risk then you should definitely come in. A medical check up will eliminate your concerns and get your health on the right track. Never wait to report any symptoms that you have. Many people ignore these issues until it is too late. Don’t wait until you have to check into the emergency room. Our preventative medical check-up will help you avoid many health issues. It is like a complete spa treatment for your body. Your body is the only one you will ever have, and because of that it is something that you need to guard. Scheduling health checkups like blood pressure testing and weight checks every year or two is also recommended. Cholesterol testing should be done every five years after age 35. Men or women that have gender specific concerns can also visit the office. If you need a full medical examination in New York or just feel a little odd then it is time to come in and see the doctor. The basic idea is that if you feel better then your whole life will be better. The people here are not only extremely helpful but knowledgeable as well. The staff is friendly, and tackle issues with a humanistic approach. Here you are not seen as a number, instead you are a person with real feelings and needs. We understand that it can be a little stressful to have a medical check up especially if you have not been to the doctors for some time. Why not take the first step with our doctor? Our patients are happy. Our facilities accommodate on site laboratory testing and it is often quick and easy. So the answer is a resounding YES: you need to have a medical check up in NYC. Your health is in your hands.